Located in Longview, Baymont by Wyndham Longview is in the suburbs, a 5-minute drive from LeTourneau University and 8 minutes from Kilgore College Longview. This hotel is 4 mi (6.4 km) from Longview Museum of Fine Arts and 4.3 mi (7 km) from Gregg County Historical Museum. 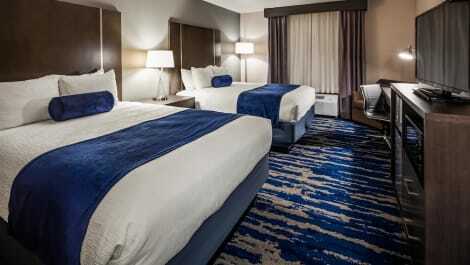 With a stay at Microtel Inn & Suites by Wyndham Longview, you'll be centrally located in Longview, within a 15-minute drive of LeTourneau University and Kilgore College Longview. This hotel is 4.8 mi (7.8 km) from Longview Museum of Fine Arts and 4.9 mi (7.9 km) from Gregg County Historical Museum. This lovely hotel can be found in Longview area. The hotel consists of 40 accommodation units. Pets are not allowed at Americas Best Value Inn & Suites. Make yourself at home in one of the 84 air-conditioned rooms featuring kitchens with refrigerators and stovetops. Plasma televisions with cable programming provide entertainment, while complimentary wireless Internet access keeps you connected. Conveniences include desks and microwaves. A stay at Wingate by Wyndham - Longview places you in the heart of Longview, a 5-minute drive from Longview Mall and 5 minutes from Alpine Golf Course. This hotel is 2.2 mi (3.6 km) from Longview University Center and 2.4 mi (3.9 km) from Paul Boorman Trail Park. 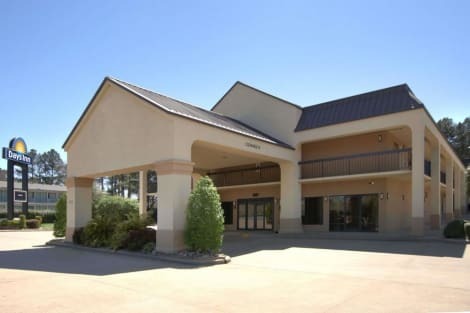 When you stay at La Quinta Inn & Suites Longview North in Longview, you'll be near the airport and within a 5-minute drive of Longview University Center. This hotel is 1.8 mi (2.8 km) from Longview Mall and 2.5 mi (4.1 km) from Alpine Golf Course. lastminute.com has a fantastic range of hotels in Longview, with everything from cheap hotels to luxurious five star accommodation available. We like to live up to our last minute name so remember you can book any one of our excellent Longview hotels up until midnight and stay the same night.